On February 22, 2011, billionaire Terry Pegula sat in front of the media as owner of the Buffalo Sabres and boldly declared, "Starting today, the Buffalo Sabres' reason for existence will be to win the Stanley Cup." For those in attendance at his inaugural press conference and Sabres fans everywhere, having those words came from a billionaire who was in it to win it was music to their cost-constrained ears. Fast forward seven years and Pegula's Buffalo Sabres are no nearer to their "reason for existence" then they were back in 2011. In fact, it's gotten progressively worse after the Sabres finished in a playoff spot that season with one of the big reasons being a two-year tank-job from 2013-15. Since their last playoff appearance Buffalo has finished no higher that 23rd in the league and have finished dead last in three of those seasons. According to G. Scott Thomas of bizjournals.com that poor performance has translated into the worst record in the entire NHL over that span. "Their record of 197-273-70 during the ensuing seven seasons was far and away the worst in the league," wrote Thomas. "The Sabres earned 464 points in that span, while every other team picked up at least 499 points. 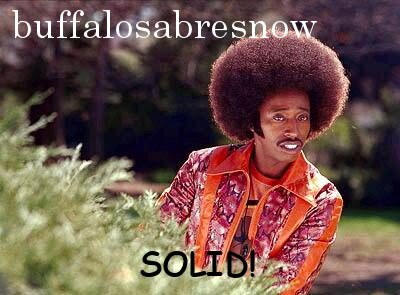 "The Sabres also finished last in the seven-season rankings of goals scored (1,262) and goal differential (minus-372)." KeyBank Center, home of the Buffalo Sabres, was like a morgue this season as the team put on an awful display of hockey that lead to one of the worst home records in franchise history. They won a total of 11 times on home ice and their 89 goals scored at home gave fans little to get excited about. I’m not happy and I am sure you aren’t either. I’m sending this letter so that I can personally tell you that we will not be raising Season Ticket prices this year. You’ve been loyal to us in one of the most difficult times in franchise history and you deserve better. When we decided to go through our rebuild, the expectation was that we would be competing for a playoff spot by now. That simply hasn’t happened. I bear my share of responsibility. Mistakes have been made along the way, but I’m not here to rehash those or make excuses. 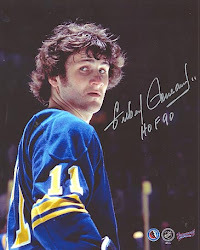 I’m here to tell you I watch the games too and the standard of the Buffalo Sabres must change. I’ve challenged everyone in the organization to be better. Every single person, including me, needs to improve on everything we do. As disappointed as I am in the season, the part of me that’s a fan like you is still excited for the future. We have players in our system at all levels of the organization – NHL, AHL, juniors, European leagues and the NCAA – and I’m confident they will make us consistently competitive. This may not mean much. Until we win, it is just words. I just want you to know that I’m in it with you. According to John Vogl of the Buffalo News, the Sabres have raised ticket prices every year (around 4%) since Pegula took over with the price of tickets being markedly higher since 2011. For instance, a 200 Club-level seat went from $88 for the 2010-11 season to $121 last season. The least expensive seats in the 300s went from $22 to $30. Although Buffalo sports fans get inflation and that tickets typically rise, especially for some of the cheapest tickets in the NHL, the driving force behind the annual increase looked to be more about Buffalo tapping into the NHL's revenue sharing program. This redistribution of wealth (along with the salary cap) allows smaller market teams to remain competitive with the larger markets. Under previous owner B. Thomas Golisano, who's creed was "just break even," it was a necessary tool for icing a competitive product. Yet for a billionaire like Pegula who boldly stated at his presser that he's "taking off the financial chains" while also stating that if he wanted money "he drill another gas well," it's strange that he'd be on social assistance from the NHL. The argument for Pegula's need for revenue sharing is sound in that you'd be a fool not to take free money. But at what cost? With a product so bad over the last seven seasons, it's very hard to justify even that to the Buffalo ticket-buying public. Pegula still has a long road to hoe if he wants to get back into the good graces of the Buffalo hockey community. He threw money around like a drunken sailor which got the club nowhere, then signed off on their two-year tank leaving a messy front office situation which included a GM who threw around picks and prospects like...a drunken sailor. Nobody expected last season to be as bad as it was. Then again, with the way Pegula and his charges have acted in the past, there's a contingent out there who believe that last season was a stealth tank to get another high draft pick. And there's a larger contingent in Sabreland who are still mad at him for enabling the two-year tank in the first place. However, what's done is done, however, and it's time to move forward. Pegula seems to have done well in hiring Jason Botterill as his general manager and despite the awful season, some of the things the first-time GM has done look very promising. Botterill spent 10 years in the Pittsburgh Penguins organization and has a good feel as to what it takes to build a winning organization. Actually doing it is the hard part. For his part, Pegula's decision was the right one and hopefully it puts an end to a seven-year cycle filled with bad karma. His letter with it's vague apologies and promises, won't appease everyone but with the Stanley Cup as far away from Buffalo as ever, hopefully it can be looked at as a good start to get the team moving forward.